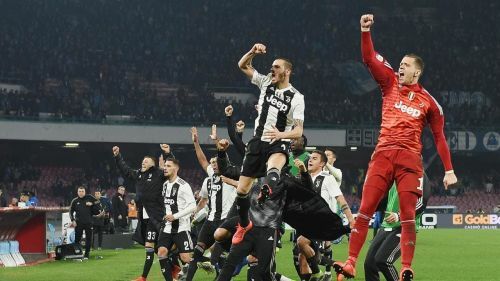 Juventus raced further clear in the title race after Miralem Pjanic and Emre Can scored to seal a 2-1 win over Napoli in a tempestuous affair. Once again the visitors were unconvincing yet sailing through the match and held a two-goal cushion at the break. Napoli also saw goalkeeper Alex Meret sent off for his challenge on Ronaldo, but the teams were numerically on level terms when Pjanic too saw red just minutes into the second half. The Partenopei were now running Juve ragged with wave after wave of attacks. Jose Callejon even halved the deficit just after the hour mark, but Lorenzo Insigne missed a great chance to equalise when he blasted a dubious penalty against the upright. Regardless of the scoreline, Napoli were head and shoulders above their mighty visitors. They not only held a lion's share of possession but also completed more passes, created better chances and also mustered more shots on target. Manager Massimiliano Allegri's side has to be the luckiest team in Europe right now. For despite stinker after stinker, they manage to eke out a win and god forbid, remain unbeaten in the league, even after 26 games! In this weekend's side, Napoli were the better side from start to finish. The hosts not only started on the front foot but should've been a goal up by the half an hour mark. But a moment of quality from Pjanic and a defensive lapse put Juve 2-0 ahead by half-time. However, the Partenopei were even better after the break. 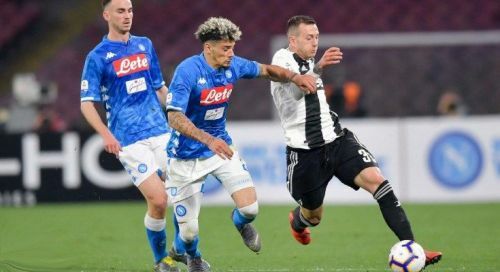 They pushed Juventus on the back foot by launching an avalanche of attacks and even had the opportunity to secure a point. The visitors were just contented to crowd out the area and form a defensive block that Napoli struggled to find a way past. Lorenzo Insigne also missed a penalty late on, making it worse for his side. In the end, Napoli finished the game with 21 shots to Juve's six, 574 passes to Juve's 370 and also 64% possession to Juve's 36. The Bianconeris may have won the game despite being subjugated for the entirety of the game, it's merely a fortuitous one; nothing to take pride in as they ride their luck again.